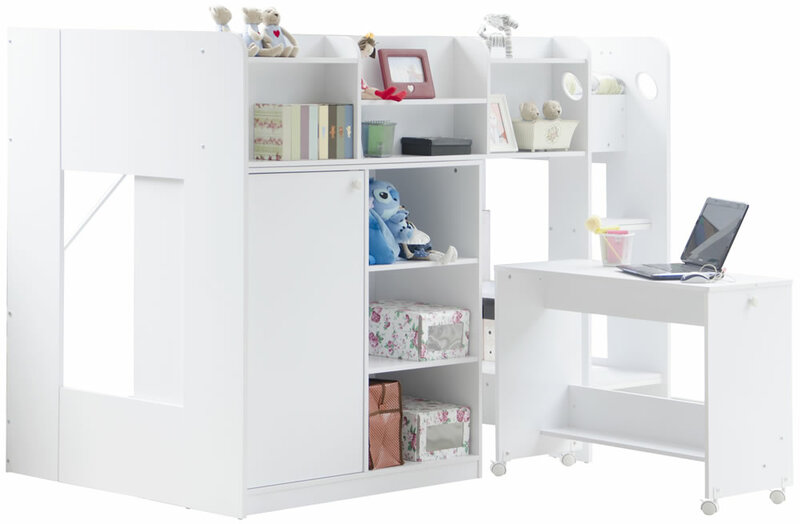 The Flair Furnishings Wizard high sleeper workstation bed in a white finish offers a fixed sturdy 3 step ladder, built in shelving, a free standing storage cupboard with shelving and spacious a pull out desk on casters. 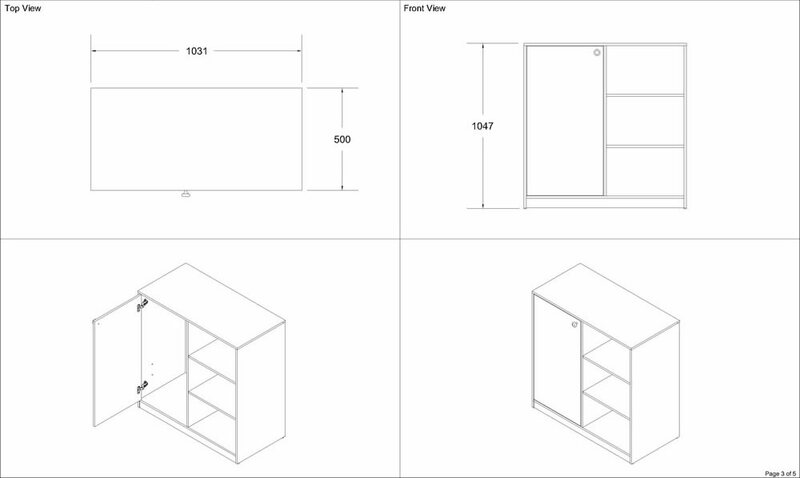 The high sleeper frame offers overhead shelving with access from the ground and features two top shelves perfect for bedside storage. 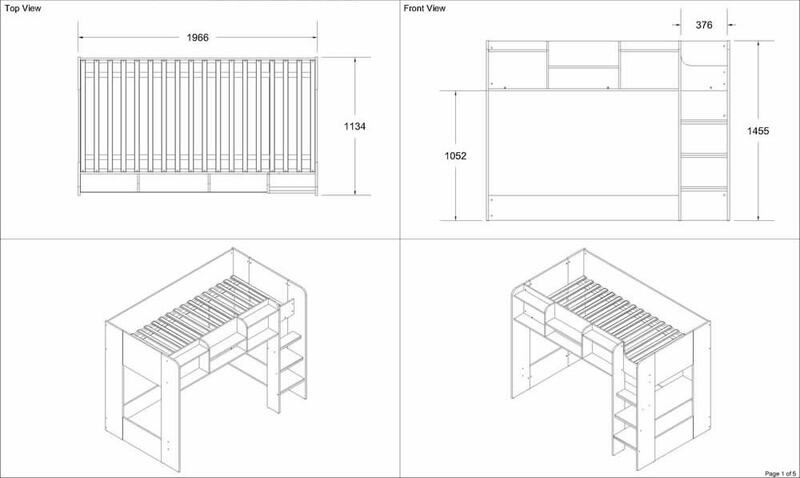 The vertical three step ladder to the raised sleeping area has deep steps for extra safety and comfort underfoot, the bottom two steps extend the full depth of the bed frame making two wide storage shelves. 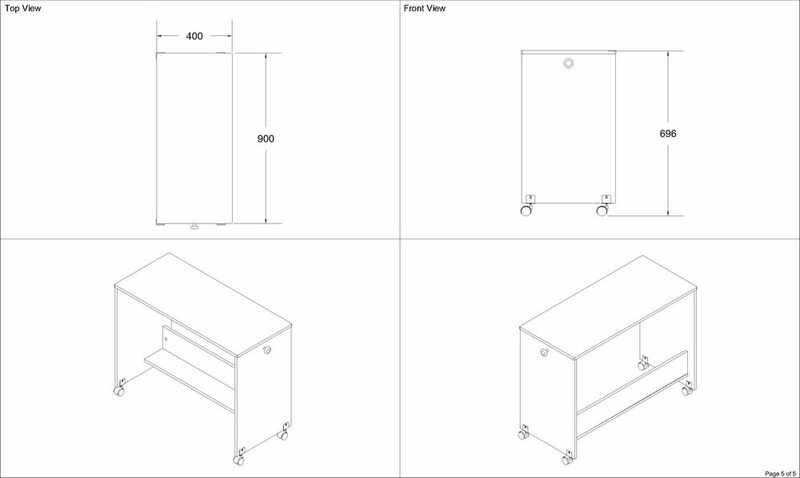 For additional storage the free standing single door cupboard offers a full width metal hanging rail and three open front shelves. To help your child study and play the Wizard workstation bed comes with a pull out desk on wheels that simply and neatly rolls away under the bed frame when not in use.